Bruce and his team specialise in spit roast lamb cooked traditionally beside a log fire for a unique flavour. They can cook for upto 200 guests and served alongside a beautiful selection of salads and accompaniments provided by us can make a delicious feast for either a wedding breakfast, evening reception or party. "If you’re after a big white wedding complete with silver service, look away now.​ If intimacy, quirk, rustic beauty is more your thing… you’re in the right place." Tiffiny and Rose will pull out all the stops to make sure your big day is everything you have dreamt of and more. 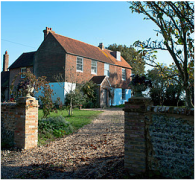 ​Private secluded grade II 16th century house overlooking a large picturesque lake in an idyllic rural setting with far reaching views of the Sussex downs. 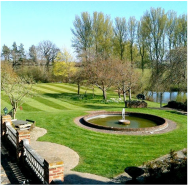 A beautiful marquee is situated on the lawns during the summer months, making the perfect country wedding venue. 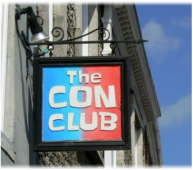 Situated in the beautiful county town of Lewes, The Con Club consists of a large bar area, a function room with a professional music stage which is available for private hire, a dining section and spacious gardens. ​We supply this lovely deli with a range of cakes and savouries. Support this great local social enterprise whilst enjoying delicious food.